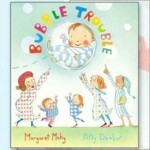 Margaret Mahy is the most acclaimed of New Zealand’s children’s writers. The author of more than 120 titles, and translated into 15 languages, Margaret has readers across the globe. Many of her story plots have strong supernatural elements but her writing concentrates on the themes of human relationships and growing up. She wrote more than 100 picture books, 40 novels and 20 collections of short stories. Margaret Mahy was born and raised in Whakatane, New Zealand. Her father was a bridge builder and often told his children adventure stories which later influenced Mahy’s writing. Her mother was a teacher. The eldest of five children she began writing children’s books in earnest at the age of eighteen. After graduating with a Bachelor of Arts in 1955, Margaret trained as a librarian and in 1967 began work at the School Library Service in Christchurch. During this time she had stories published in the New Zealand School Journal, however her big break came in 1968 when an American publisher found the text of A Lion in the Meadowand bought it – along with all the other work Margaret had produced over the years. Consequently, eight books were published simultaneously. She worked as a librarian for more than 10 years before becoming a full-time writer in 1980. 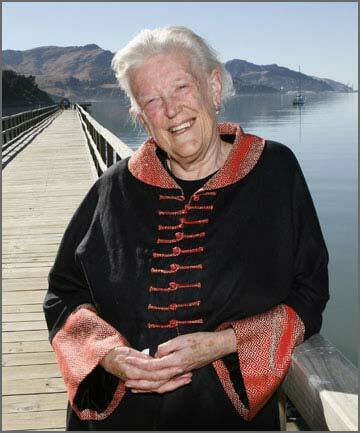 For her contributions to children’s literature she was awarded the Order of New Zealand in 1993. Margaret also won many of the world’s major prizes for children’s writers, including the Carnegie Medal (the first writer outside the United Kingdom to do so) and the prestigious Hans Christian Andersen Award. The Margaret Mahy Medal Award was established by the New Zealand Children’s Book Foundation in 1991 to provide recognition of excellence in children’s literature, publishing and literacy in New Zealand. 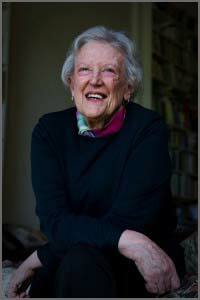 She was awarded an honorary Doctor of Letters from the University of Canterbury and in 1985 she established the Margaret Mahy Fees Scholarship at the University of Canterbury. 1970 The Lion In The Meadow awarded the Esther Glen Medal of the NZ Library Assn (1st of six times). 1973 Esther Glen Award for The First Margaret Mahy Story Book. 1983 Esther Glen Award for The Haunting. 1985 Esther Glen Award for The Changeover. 1993 Esther Glen Award for Underrunners; Honorary Doctorate of Letters from University of Canterbury; Order of New Zealand. 1995 Margaret Mahy Fees Scholarship established at University of Canterbury. 1999 New Zealand Post Children’s Picture Book Winner for A Summery Saturday Morning; New Zealand Post Children’s Book of the Year for A Summery Saturday Morning. 2005 Margaret Mahy: A Writer’s Life by Tessa Duder is published; Arts Foundation Icon Award; Prime Minister’s Award for Literary Achievement; The Catalogue of the Universe wins Phoenix Award; Honorary Doctorate from Waikato University. Kaitangata Twitch wins Honour Award in the Young Adult section NZ Post Book Awards for Children and Young Adults; The Tricksters wins Phoenix Honour Book Award; Sir Julius Vogel Award for services to New Zealand science fiction and fantasy’ wins world’s premier prize for children’s writing, the Hans Christian Andersen Award. 2007 Memory wins The Phoenix Award. The award is presented to a book that has been published 20 years ago and was not recognised by a major award at the time of its publication. 2008 Nominated as one of two New Zealand candidates (with Joy Cowley) for the Astrid Lindgren Memorial Award for children’s literature. Book Award for best Picture Book. 2013 NZ Post Children’s Book Awards announce their top prize to be known as the NZ Post Margaret Mahy Book of the Year award. In March 2009 she was commemorated as one of the Twelve Local Heroes and a bronze bust of her was unveiled outside the Christchurch Arts Centre. Mahy lived at Governors Bay on the Banks Peninsula, Canterbury, in the South Island of New Zealand. She was a solo mother and raised two daughters there. Recognized one of the world’s most original re-inventors of language, Mahy’s exceptional works are known to children and young adults all over the world.